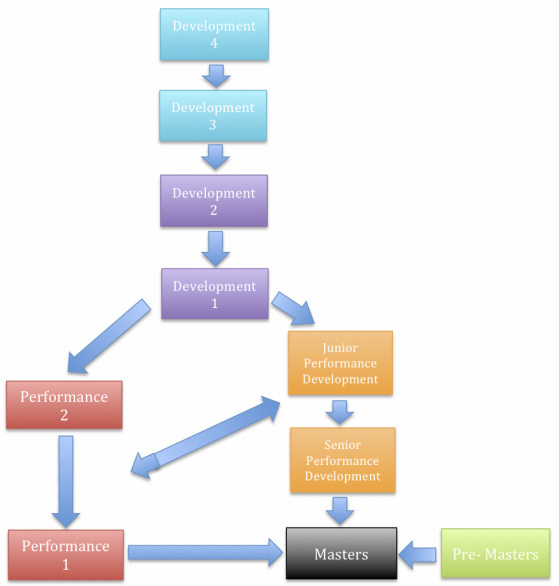 BSC has four main sections; Development, Performance, Competitive Development and Masters. Please see the tabs with the relevant sections for the criteria for each squad or click on these links. P1, P2, D1, D2, D3, D4, JPD, SPD, Masters, Pre Masters. Squad Fees are under, "Joining us - Squad Fees". British Swimming is the National Governing Body for Swimming, Diving, Synchronised Swimming, Water Polo and Open Water in Great Britain. It is responsible internationally for the high performance representation of the sport. It seeks to enable its athletes to achieve gold medal success at the Olympics, Paralympics, World Championships and Commonwealth Games. British Swimming is made up of the three Home Countries national governing bodies of England (Amateur Swimming Association), Scotland (Scottish Amateur Swimming Association) and Wales (Welsh Amateur Swimming Association). 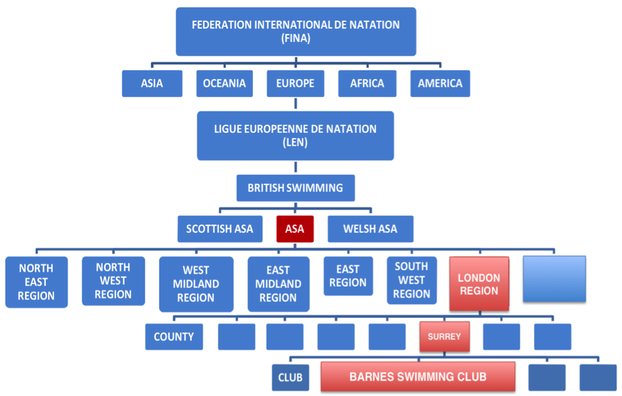 · All swimming clubs affiliate to the relevant ASA Region. · There are 8 ASA Regions: East; East Midlands; London (our region); North East; North West; South East; South West. · Each Region plays a strategic role and focuses on: Improving talent pathways; getting more people involved in all of the swimming disciplines; providing more and better coaches, volunteers and officials. · Counties select and support County Teams to compete in Inter- County Competitions.